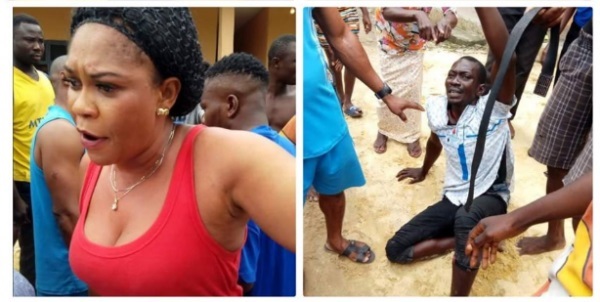 A suspected thief was beaten mercilessly yesterday after he was nabbed following a failed operation in Delta state, according to National Helm. 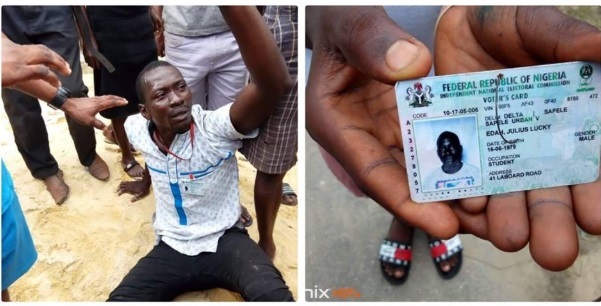 It was gathered that the suspect allegedly gained access into the victim's house with the intention to steal along Yoruba road extension in Sapele area. After stealing the lady’s phone, the suspected thief decided to embark on another mission, this time to feed his sexual desire. According to the female victim, she felt someone romancing her leg in her sleep as she opened her eyes to see a stranger in her room. She raised an alarm and shouted before neighbours gave the suspect a hot pursuit. It was revealed that the suspect later identified as Julius – was beaten mercilessly by the mob to the extent he pooed on himself. The lady disclosed that she’s sick and took some drugs that’s why she slept off and didn’t notice when the suspect entered her house. The stolen phone was later recovered.